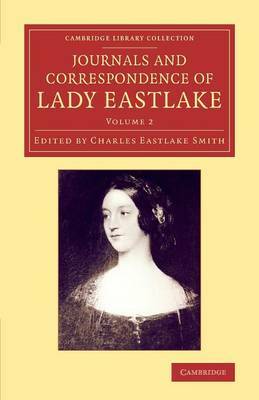 Later known as Lady Eastlake, the writer Elizabeth Rigby (1809-93) travelled widely in her early years, and subsequently moved in the highest literary and artistic circles. After an illness in 1827 she was taken abroad to recover, and her encounters with European art led to her writing career. In 1849, she married the painter Charles Eastlake, who became the director of the National Gallery and president of the Royal Academy. Continuing to write, especially for the Quarterly Magazine, on literature and art, she spent part of each year touring galleries and private collections across Europe. This engaging two-volume work of 1895, edited by her nephew and full of shrewd judgements on art and on people, is compiled from her journals and letters. Volume 2, covering the period from 1854 to her death, concludes with a reminiscence by one of her closest friends, the illustrator and author Eleanor Vere Boyle.